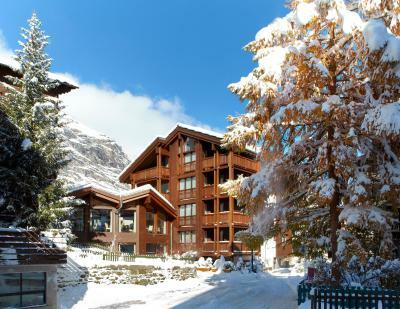 Lock in a great price for Europe Hotel & Spa – rated 9.4 by recent guests! All the STAFF members was really excellent and friendly. Property was really cozy and nice location. This is really worth to return and recommended to STAY. Very clean, updated facility with a very friendly staff. 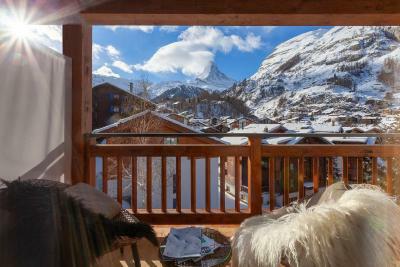 The location of the property was very well situated in the small town of Zermatt. 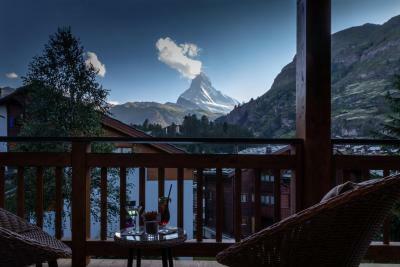 Beautiful view of Matterhorn from Deluxe Room. Clean, modern, and wonderful staff. 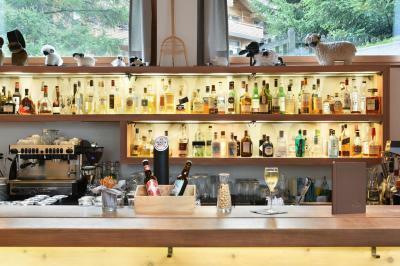 Welcome drinks upon arrival and easy ski rentals. It's the little details that count! 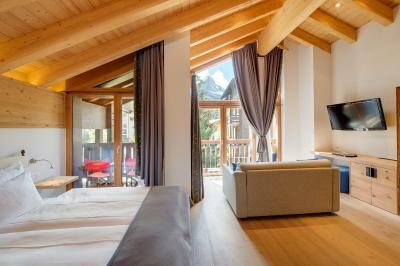 The Toblerone during turndown service, the heated bathroom floors, the ski room with drying tubes inside the locker, the drying rack inside the bathroom, the freshest breakfast, and most especially the friendliest staff! I will definitely be coming back! 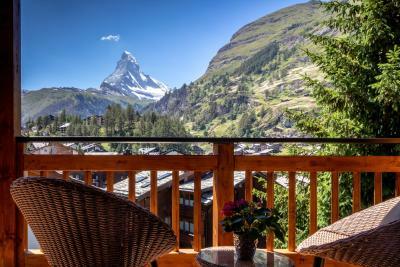 Mountain and Matterhorn Views from dining area and guest room, Amazing breakfast buffet, Staff was sooo helpful and attentive, Cozy bar area, Spa area was new/clean with pool, sauna, steam, dry steam, relaxation lounge area, walking distance to everything, van pickup from train station. Excellent cleanliness. Excellent staff. 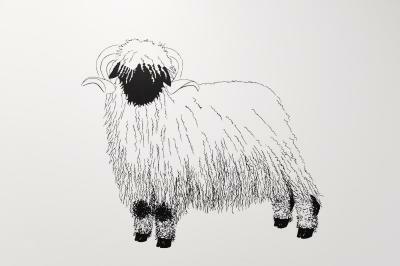 I´d like to say thanks to Andrea Schläpfer. You have attended all demands we did. Thanks to Andrea Fallegger and Marili Laas. You were really nice. Front staff was wonderful. Location was perfect and walking distance to everything. Breakfast was amazing. Will definitely return. The staff, the location, the hotel decor. This family owned place makes you feel welcome, they are warm, humble and very friendly. From the owner, to his daughter to the reception and housekeepers. It’s nice to see that level of generosity and hospitality in such a small village. 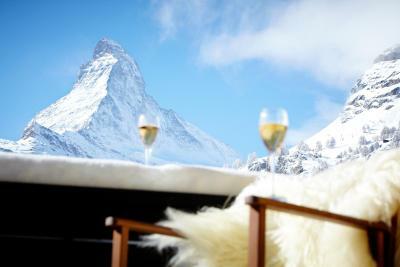 I wish the rest of the world can learn from the people in Zermatt and Switzerland. The hotel is in a perfect location not fully in the middle of the village but easily reachable with 5 minutes stroll from every point of interest. The room is spacious and clean. Bed is extra comfortable. Being in a corner room we had 2 balconies to sit and look at the mountains. Breakfast is excellent for quality and variety. 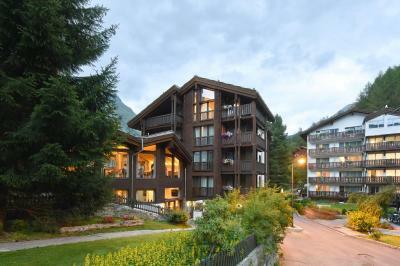 Wellness is not huge, but with all the main facilities and extremely clean. 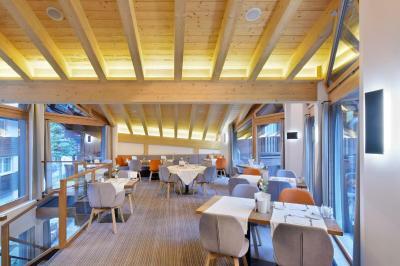 Staff has been very supportive in searching a restaurant as at the time of our visit it was low season for Zermatt and also the hotel one was in restructuring. All in all, absolutely recommended. 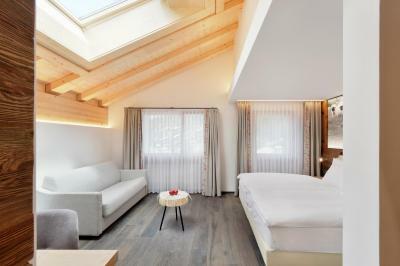 Europe Hotel & Spa This rating is a reflection of how the property compares to the industry standard when it comes to price, facilities and services available. It's based on a self-evaluation by the property. Use this rating to help choose your stay! 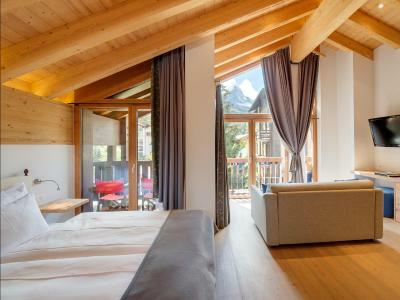 Offering a spa area and a restaurant, Europe Hotel & Spa is located within 2,300 feet from the Zermatt Train Station, the Zermatt-Furi Ski Elevator and the Matterhorn Glacier Paradise Station. Free WiFi access is available in all areas of the property. 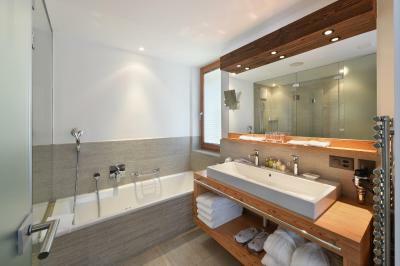 The rooms are individually furnished and come with a mini-bar, a flat-screen TV, and a bathroom with shower, bathrobes, free toiletries and hairdryer. 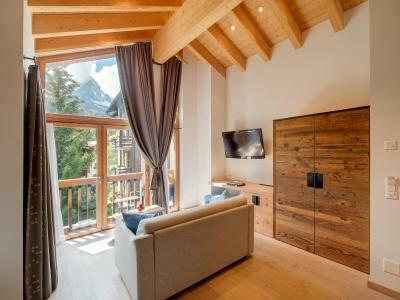 Most rooms also feature a balcony with views of the Matterhorn Mountain. 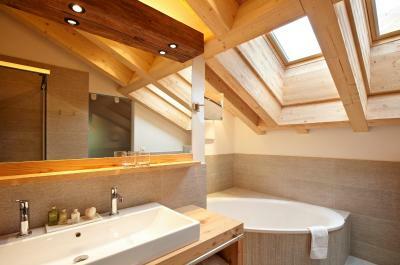 Some rooms come with an open plan bathroom. 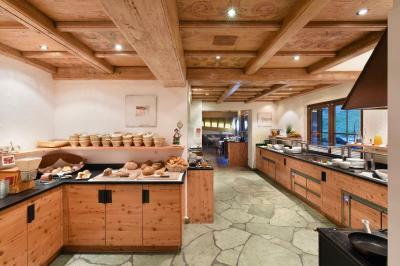 Buffet breakfast is offered every morning and dinner is accompanied by fine wines from the extensive wine card. 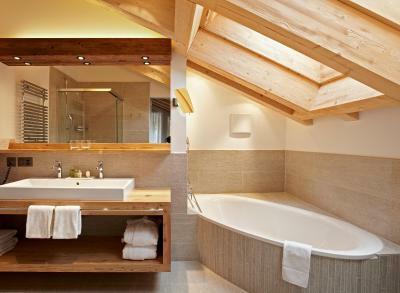 Guests can relax in the spa area with 2 saunas, a steam bath, a hot tub and a massage room and relaxation room. Massages are organized on request. 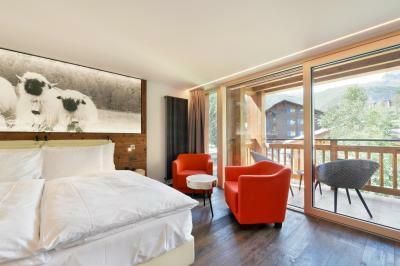 When would you like to stay at Europe Hotel & Spa? 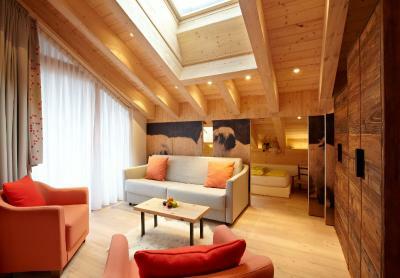 This design family room is elegantly furnished in an Alpine modern style and features a sofa bed. 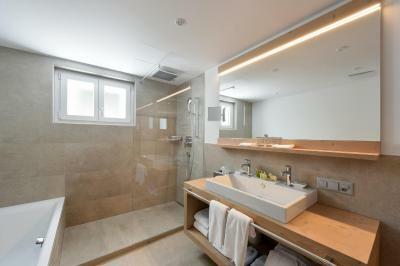 This double room features a bathroom, partly open to the room, with bathtub, shower, separate toilet, hairdryer, towel heater, balcony, telephone, TV, mini-bar and safe. 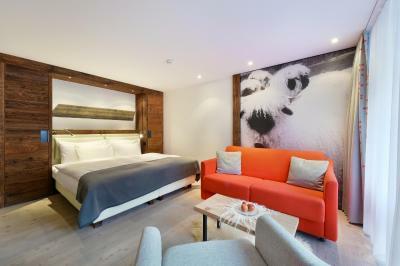 This simply furnished room are equipped with a double bed and modern setting. 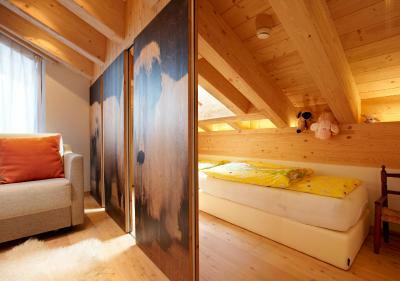 This modern alpine room features a south-facing balcony with Matterhorn view and a bathroom with a walk-in rain shower. 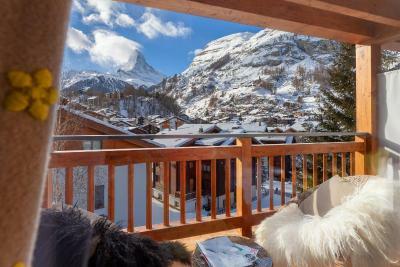 This new south-facing suite features a large balcony and a view of the Matterhorn. 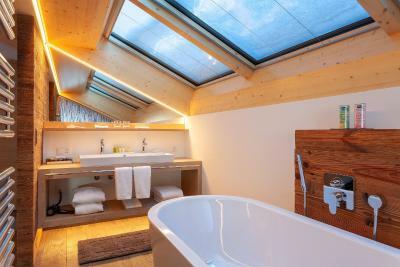 It also offers a large panoramic skylight with natural light, a rain shower (with a view of the mountains), a free-standing bathtub and a separate toilet. 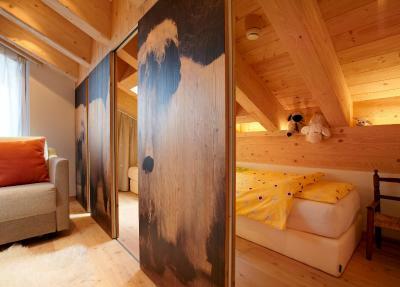 There is a separate room for children. 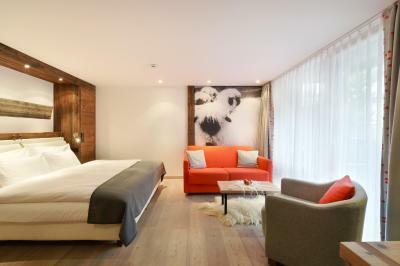 House Rules Europe Hotel & Spa takes special requests – add in the next step! Europe Hotel &amp; Spa accepts these cards and reserves the right to temporarily hold an amount prior to arrival. Europe Hotel & Spa accepts these cards and reserves the right to temporarily hold an amount prior to arrival. Please note that Zermatt is a car-free village. 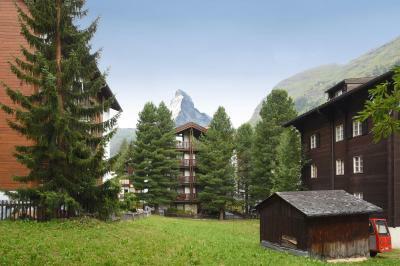 You can park your car at a parking garage in Tess and take a train or taxi to Zermatt. Please note that for fire and safety reasons cooking is not allowed in the rooms. 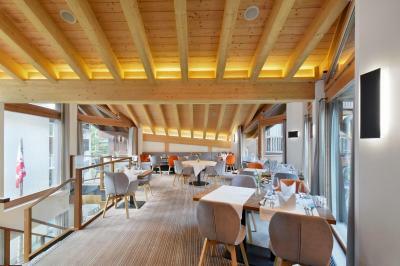 The property offers dinner menu in the restaurant on site every evening. hot tub wasn't hot enough. Breakfast could have been more inviting and abundant. The Staff where all very friendly and always accommodating. The rooms very clean with fresh towels and bed turn down at night. Loved having a relaxing spa after a day of skiing. The restaurant was also great for breakfast and dinner. Very friendly staff. Great breakfast with eggs cooked to order. 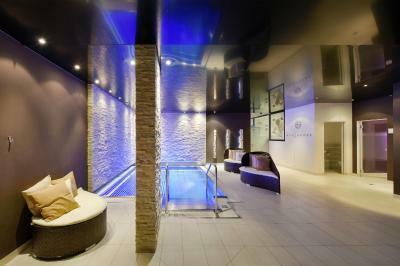 Fantastic spa with Jacuzzi and saunas. Spa wasn’t too great with sometimes barely warm sauna and a very busy jacuzzi. Not what you want after a long day of skiing. The rooms we stayed at were very nice with big windows and spacious balconies. Although it was Christmas (and Christmas rates), there were no welcome drinks or any touch of Christmas offering in the room. In such a nice hotel it was expected they go the extra mile to make the stay really perfect. Very nice and cosy. 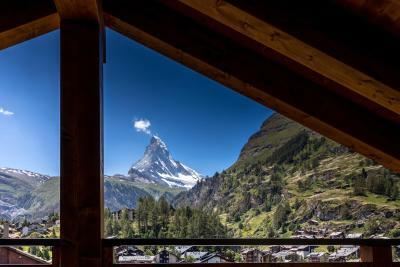 We had a room with an amazing view on the Matterhorn. Breakfast was excellent and the spa was (not the best, but) nice. Breakfast was rich and very good. The staff were very friendly too. I haven't asked the hotel if they offer this service, but I think they could offer a scheduled bolero (taxi) service to and from the lift station. One way is 13 francs which is costly for two people. But if more of their hotel guests would go to the same lift station at the same time, it will be cheaper and more convenient for the hotel guests. I think a bolero can bring max of 6 people per trip. in our room there is no kettle,coffee and tea set. the reservation desk talks on the phone too much we had to wait 2 times. at breakfast cheese and bread options was poor. location is 900m and we didnt know there is a shuttle. we had to walk through. room was ok, they say that they gave us free upgrade. clean room and bathroom. From pick-up to drop off, we were taken cared of. All the staff were very helpful & accommodating. The rooms are gorgeous & clean. Location is excellent. My sisters were your guests last year & they recommended your hotel. I will surely do the same.